Coordinate Jewelry is a beautiful reminder of a place that was important to you. Create a personalized Coordinate Jewelry piece with any of my designs. Here are two samples but you can pick any of them. 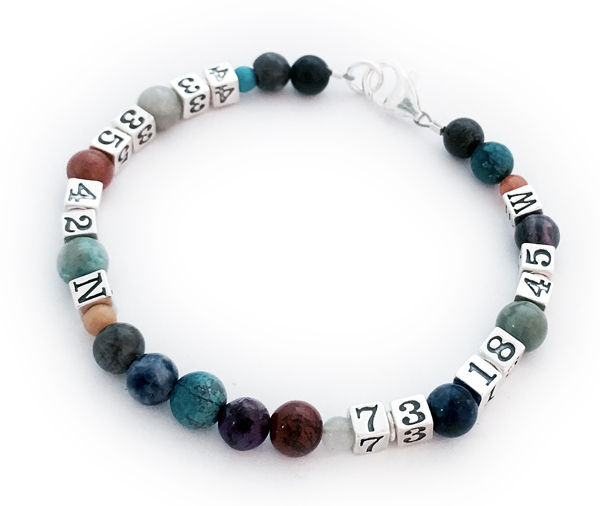 Jewelry with Coordinates (longitude and latitude numbers) of a specific place you have visited or wanted to visit e.g. the place he asked you to marry him or your favorite vacation spot. 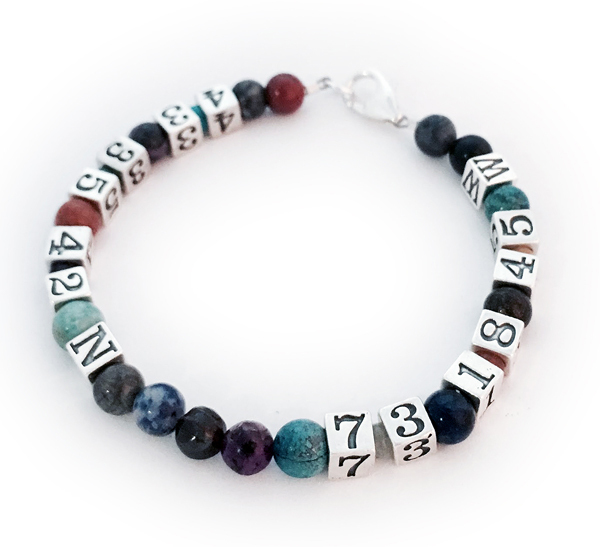 Give me the coordinates or give me the address that you would put on the bracelet and I will find the coordinates for you. Made with sterling silver number and letter blocks. I can also create these designs on a necklace. 4 and 6mm gemstones and 5.5mm number blocks.